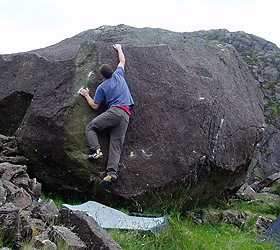 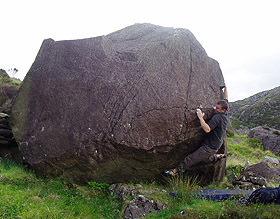 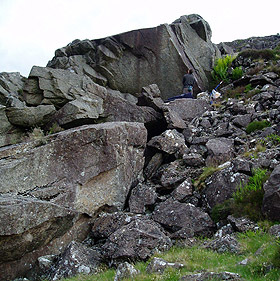 John Maskell reports a cluster of new problems on the dolerite boulders at the top of Cwm Trwsgl (and accessed from the Beddgelert side). 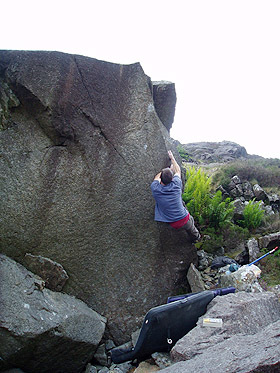 The best problem he found is Close to Tears V6/7A, a neat arête line. 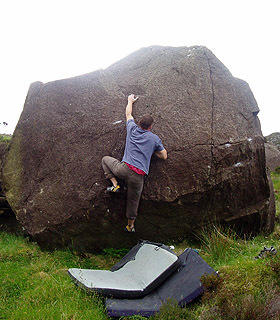 Also of interest was an egg shaped boulder which yielded a series of sitting start lines in the V3/6A - V5/6C range.